Pick Analysis: Sometimes it takes until a player?s senior season before he gets a chance to realize his potential -- as McCray will tell you. A four-star prospect from Ocala, Florida, he had three tackles in the prestigious U.S. Army All-American Bowl after putting up over 200 tackles and 20 sacks in his junior and senior seasons in high school. But it took until his senior year to become a full-time starter, mostly due to an injury to talented sophomore Ronald Powell, before he could be healthy enough to saty on the field. Despite this delay, scouts have seen enough of his raw size and athleticism to consider him a potential contributor at the next level. McCray played in eight games on special teams in 2008, making five tackles on the season. He only played three games the following year, again being credited with five stops as a reserve before receiving a medical redshirt. 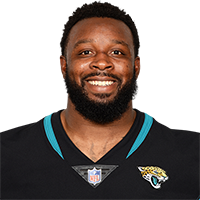 McCray got in 10 games as a reserve in 2010 (six tackles, one for loss) and nine in 2011 (five starts, 24 tackles, 7.5 for loss, 1.5 sacks, three pass break-ups), but missed seven games over those two seasons due to shoulder and ankle maladies. As a senior, McCray recorded 25 tackles (4.5 for loss), three sacks, and an interception.